The Status-6 (Статус-6), aka KANYON, has been described as an unmanned midget submarine, but it is better thought of as a massively-large nuclear powered and nuclear armed torpedo. It is ginormous: 1.6m (5.5ft) in diameter and about 24m (79ft) long. To put that into perspective, it is about 27 times the volume of a regular 533mm (21”) heavyweight torpedo. Depth: The stated running depth of 1,000m is credible and places it below current countermeasures. The problem of building torpedoes and/or depth charges to hit it are not insurmountable but will take investment and renewed focus. Speed: The claimed speed of 100 knots (185 kph) is incredibly fast for a torpedo. 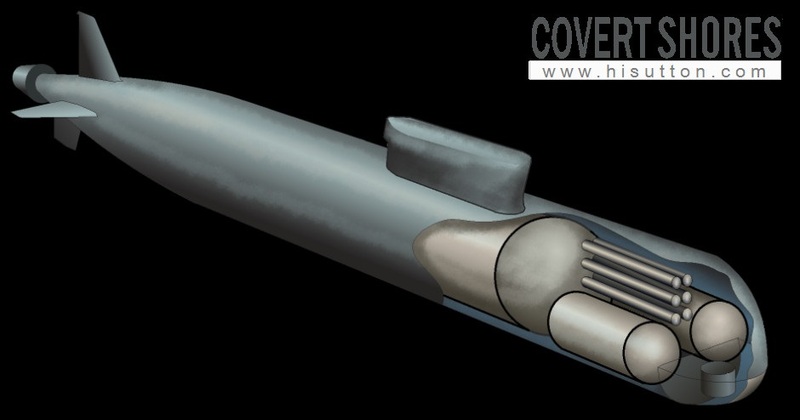 The leaked cutaway drawing shows that there is a nuclear reactor coupled with a steam turbine driving a propeller shaft so we know that it is not a rocket type weapon. At these speeds there would be vibration and stability problems for the designers to overcome. For the moment 100kt seems too fast but we will have to wait and see if the specifications become more realistic. Range: The leaked document claims that the weapon can be launched from as far as 10,000 km (5,400 nm) away. Given its nuclear powerplant this seems credible. Even at an incredible 100kt, it would take 4 days to reach its target at maximum reach. Operationally we would expect ranges to be far shorter, but still undoubtedly an extremely long ranged weapon. It also seems likely that some of the distance would be accomplished under ice adding additional complexity both to navigation and to NATO countermeasures. Health warning: The speed parameter seems unrealistic and the range is not operationally necessary. To put it nicely, most people exaggerate their projects to their bosses. I’d wager that they are lying to Putin and themselves as much as to the West. This does not mean that the project is not (at his stage) real. Warhead: Nuclear with Cobalt shell. Payload to be confirmed but speculated to be as high as 100 megatons. Powerplant: 1 x nuclear reactor driving a pumpjet. Sensors: Long range internal guidance, possibly with external update/abort. Obstical avoidance sonar. It is not feasible that the structure of the torpedo contains shielding for the reactor so the device must leave a trail of radioactive contamination behind it as it runs. This is true even in test runs. The lack of shielding also means that the reactors cannot be test-run while inside the launch tube. Maintenance is thus much harder than on the ICBMs carried in other strategic submarines, and the weapons are essentially sealed containers. The main launching platform of KANYON is likely to be the new Project 09851 'KHABAROVSK' (пр.09851 "Калитка-СМП" "Хабаровск") submarine. This boat is similar to but smaller than the Project 955 'BOREI' (пр.955 "Борей" - BOREI) SSBN with was as designed by the famous Rubin design bureau. Certain design features allow us to estimate the dimensions of the boat (see specs below). Working off a similar hull diameter to the BOERI we can estimate the submarine's length as 120m versus 160m for the BOREI. This makes sense as the KHABAROVSK does not require the missile section behind the sail. And it is even possible that it shares many components and even hull sections with the SSBN. The stated displacement of 10,000 tons makes it massive, but is much lighter than the 13,000 ton BOREI. The leaked graphic strongly hints toward the KHABAROVSK having two side-by-side hulls in the bow. This is a highly unusual arrangement but is actually not dissimilar to the Project 20120 SAROV submarine used to test the Status-6. The basic reason behind this arrangement is that the torpedoes have to fire forward, and are carried externally to the occupied pressure hulls. Therefore a stack of six massive torpedo tubes occupied the space where the forward pressure hull would ordinarily be, thus shifting occupied space into smaller hulls either side. The regular 533mm (21”) and/or 650mm (25.5”) torpedo are most likely carried in the flank hulls although the question remains as to how they are reloaded. Alternatively they may be carried further aft in flank tubes angled outward to avoid the bulbous bow.